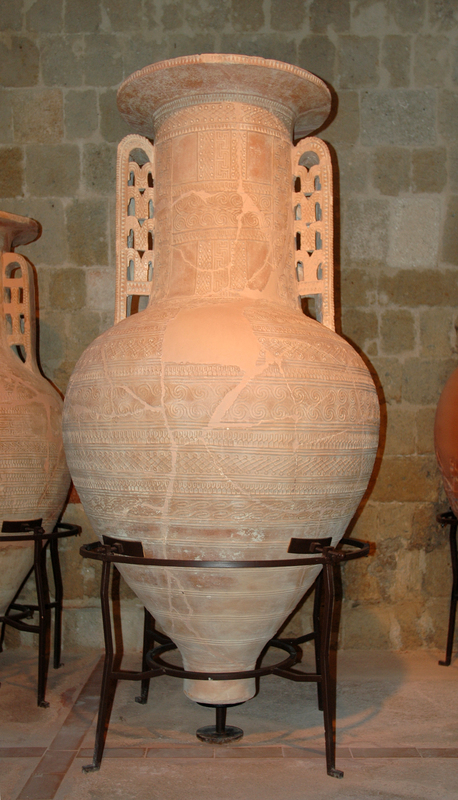 The Archaeological Museum, housed in the Hospital of the Knights , contains interesting antiques from different islands of Dodecanese . Most come from the archaeological excavations site of Ialyssos (9 km from the center of Rhodes ). 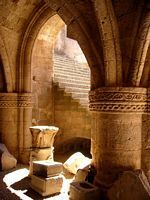 A superb collection of coins, vases, statues and jewelery tells the story of the island since the ninth century BC to the Christian era. You can also see a lovely collection of jars and mosaics. At the beginning of the Street of the Knights , on the left, the Archaeological Museum of Rhodes is housed on the first floor of the hospital of the Knights . 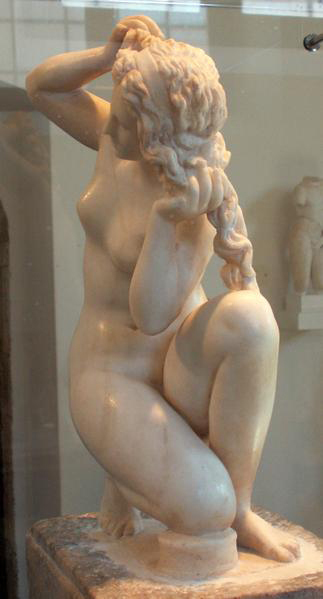 The masterpiece of the museum is undoubtedly Aphrodite of Rhodes, a small alabaster statue of the first century BC, depicting the goddess naked out of the bath, on one knee and raising its elegant long hair. Statue of Dionysos, bearded Hellenistic work of the second century BC. The kouros, large statue of the sixth century BC depicting a naked headless discovered Camiros . Aphrodite modest third century BC. We can also admire a marble head representing Helios, the sun god, dating from the second century BC. Tombstones in the fifth century BC necropolis of Camiros on which are depicted scenes of everyday life. Hours: Open Tuesday to Sunday, from 8 h 30 to 14 h 30.